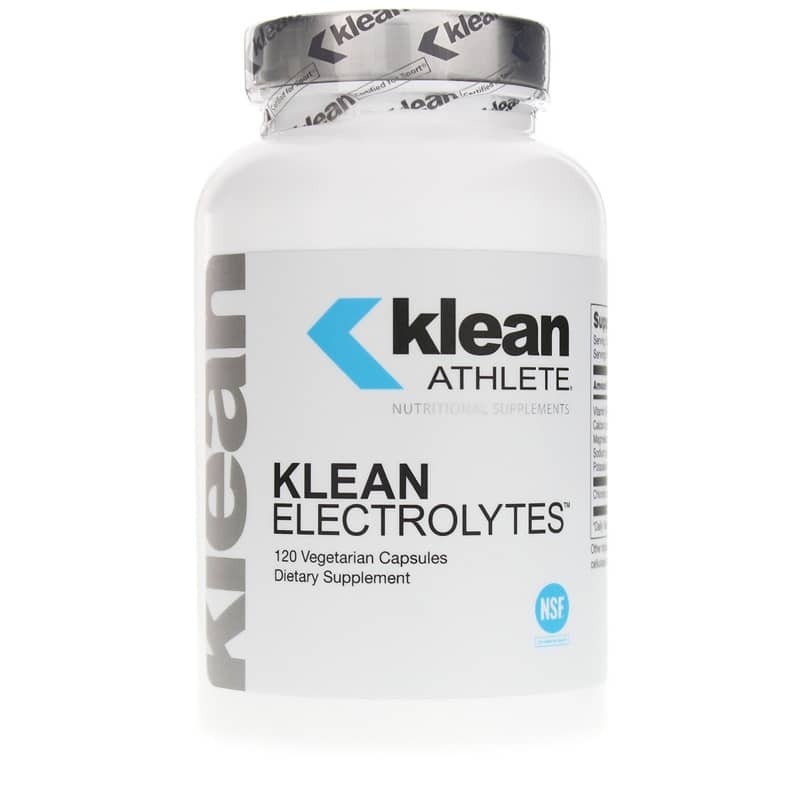 Klean Electrolytes from Klean Athlete supplies a blend of minerals to help replenish electrolytes and retain hydration, with the athlete in mind. This formula provides sodium, potassium, chloride, calcium, and magnesium to help replenish electrolytes and retain hydration. Electrolytes help to maintain a normal balance of fluids within the body. They also play a role in retaining a balance of pressure between the inside and outside of cells and help to support the systems that regulate blood pressure. Hydration and electrolyte balance are also important for nerve and muscle function. For example, muscle contraction is dependent upon the presence of calcium, sodium, and potassium. Electrolytes lost during exercise, especially long-lasting or strenuous sessions, can lead to fatigue, dehydration, and muscle cramps. Athletes workings out in extreme heat or humidity, or for three or more hours continuously, are risking dehydration. Sweat rates can vary from 0.3 to 2.4 liters per hour, approximately a half pound to five pounds per hour. To calculate a sweat rate, you should weigh yourself prior to and after running. Each pound lost equates to approximately two cups of fluid. While individual concentrations will vary widely, a pound of sweat contains around 80-100mg of potassium and 400-700mg of sodium. 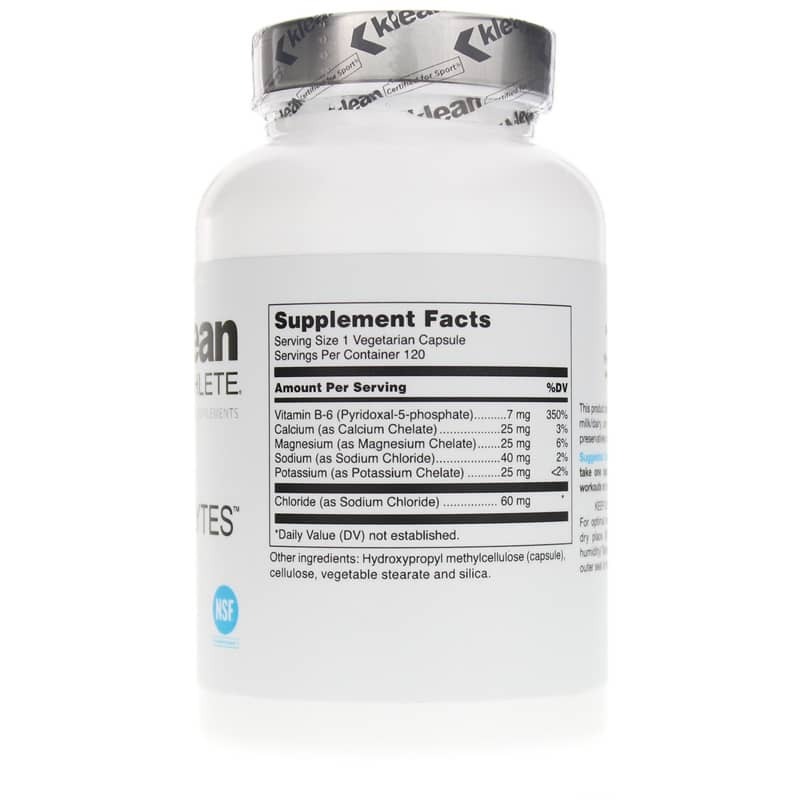 Klean Electrolytes has undergone rigorous testing by NSF Certified for Sport program, which was created to satisfy the growing demands of athletes, coaches, and healthcare professionals for guarantees that sports supplements are free from banned substances. 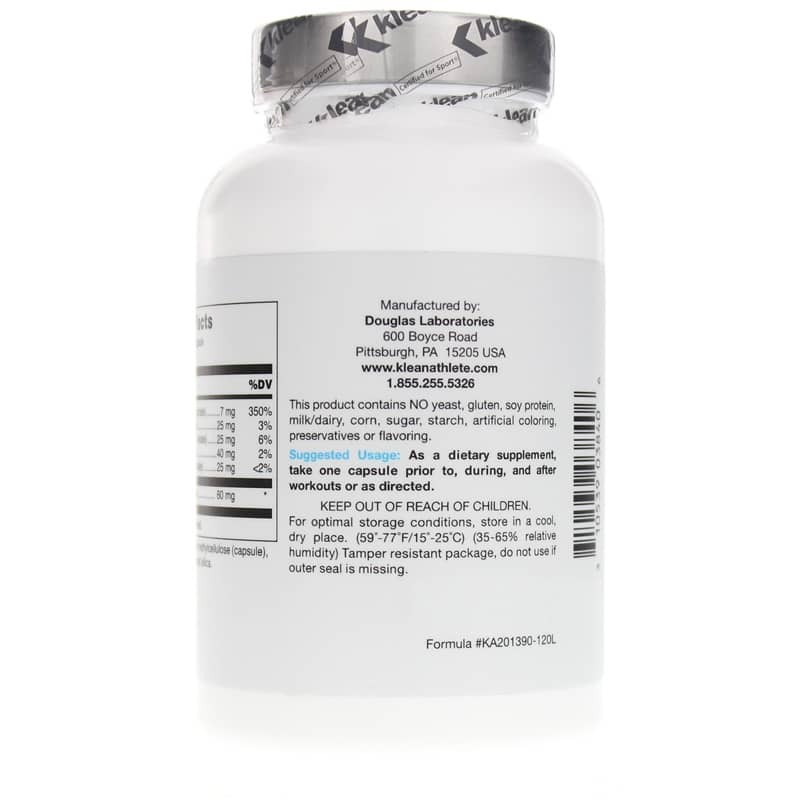 As a dietary supplement, take one to three capsules before, during, and after workouts, or as directed. Contains NO: yeast, gluten, soy protein, milk, dairy, corn, sugar, starch, artificial coloring, preservatives or flavoring. Adults: As a dietary supplement, take one capsule prior to, during, and after workouts or as directed.